Where this differs from a usual “one brand” review is that I can feature a collection of different brands all on one post and cover more ground. I hope you enjoy my monthly discoveries and would love some feedback from you below. If you have previously read my Samaya Post in which I featured the beautiful Serum, you will understand the ethos behind this holistic skincare approach. SAMAYA aim to achieve harmony between our Mind, Body and Soul and when these are aligned, it makes us feel more positive and has a positive effect on our health, wellbeing and the vitality and radiance within our skin. 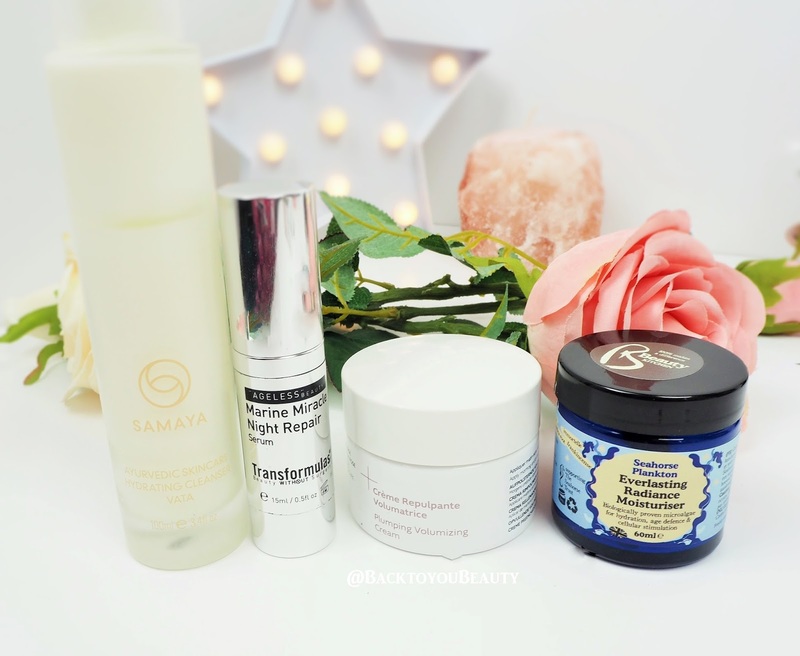 By answering a few questions on the SAMAYA website you can find your perfect Dosha type, which then enables you to choose your perfect skincare from the brand. “SAMAYA’s Dosha test and results are intended to help you discover your constitution”. Based on my answers I am a VATA which means : “Energetic and creative in balance, but worried, tired and indecisive when out of balance. Often of slender build and suffers from cold hands and feet. Tends to have delicate dry skin and hair, which may need extra moisturising and nourishment to keep it glowing and healthy” Now aside from the Slender build, ( built for comfort not speed), if you know me personally, you will know this is me to an exact T so it makes sense for me to use products aimed at people with the Vata Dosha. The Vata Range is full of Ayurvedic botanicals such as Rose, Tumeric, Tulsi (Basil – balances mind, body and soul) Gotu Kola (Bacterial properties) and Ashwagandha ( known as Indian Ginseng). Working together they create a beautiful blend that adds extra moisture to the skin and leaves the complexion glowing. Having tried-and loved- the serum HERE, it was only right that I tried the cleanser. Firstly, not only does the product look beautiful in the luxury glass bottle, but it smells incredible, like being in a luxury spa and feels beautiful and creamy on the face. Full of antibacterial, anti-inflammatory and antioxidant ingredient’s, this is a real pleasure to use on the skin at the end of a long day. I do not use this over my eyes, but it is great at removing make up and impurities as well as freshening up the skin. Just massage a couple of pumps onto dry skin, add water to create a milky lather and then wipe away with a muslin cloth or cotton flannel. Skin is left clean, super soft, plump and hydrated. Loved by beauty journalist and with lots of fantastic reviews, I knew this was a product I had to try. Transformulas describe themselves as Beauty without Surgery, so that sounds good right? Knowing that night time is the best time for me to really focus on my skincare routine, the Night Repair Serum was a must for me to try. 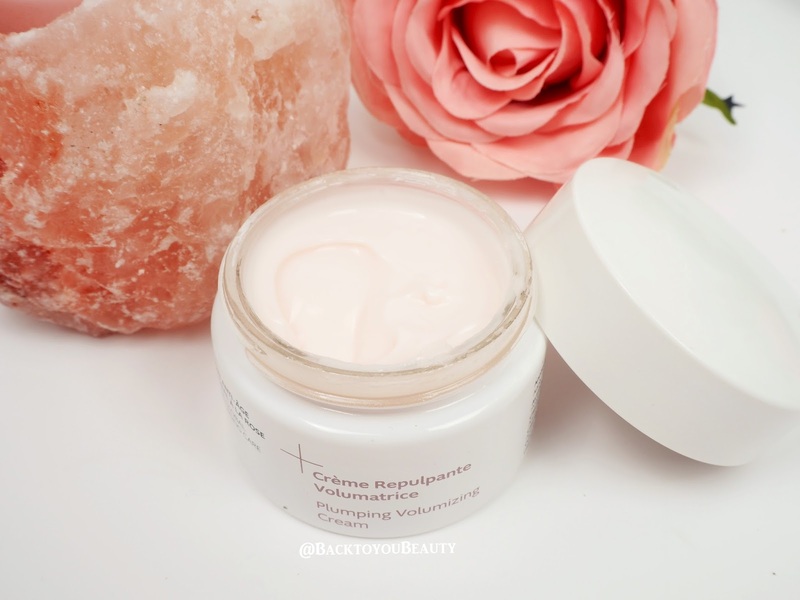 Packed full of powerful ingredient’s such as fresh green algae, marine collagen, oxygenated almond oil and rich in vitamin C and E, this product aims to restore, hydrate, revitalise and moisturise the skin. As this cold winter weather has taken a real toll and made my skin look grey and lifeless it sounded fabulous. 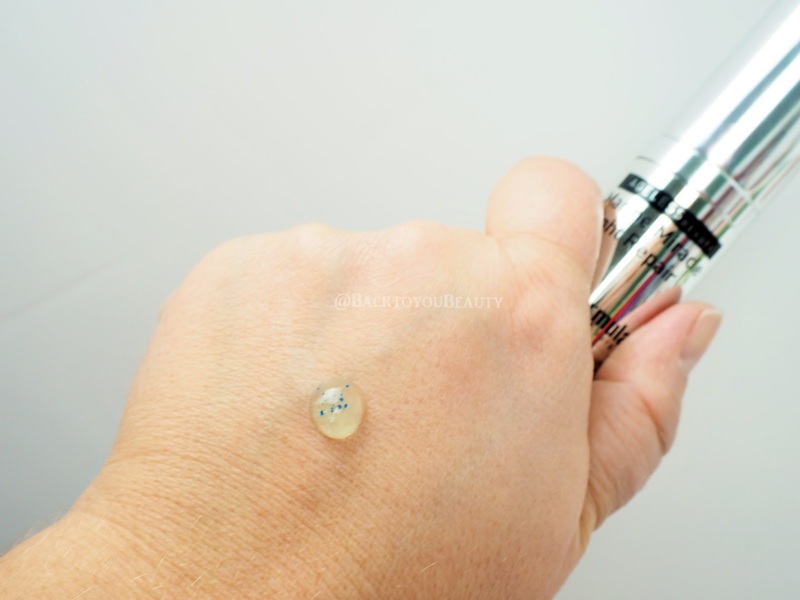 After cleansing the skin, I apply a couple of pumps of this speckled serum onto my face neck and décolleté and make sure I gently pat it in so as to burst the blue microencapsulated vitamin E spheres. The serum feels lovely and cooling on the skin and sinks in quickly. It does feel a little tacky at first but that soon disappears. Now, whilst I would love to tell you I awaken each morning looking like a young goddess, I haven’t noticed a difference in any of my lines or wrinkles this past month, but I have noticed my skin looks fresher and more, relaxed. It is certainly something I am enjoying using and hoping to see more improvements in my skins elasticity as I continue to do so. Also a bonus is that it has a little window on the side so you can see when you are running low, I love that. 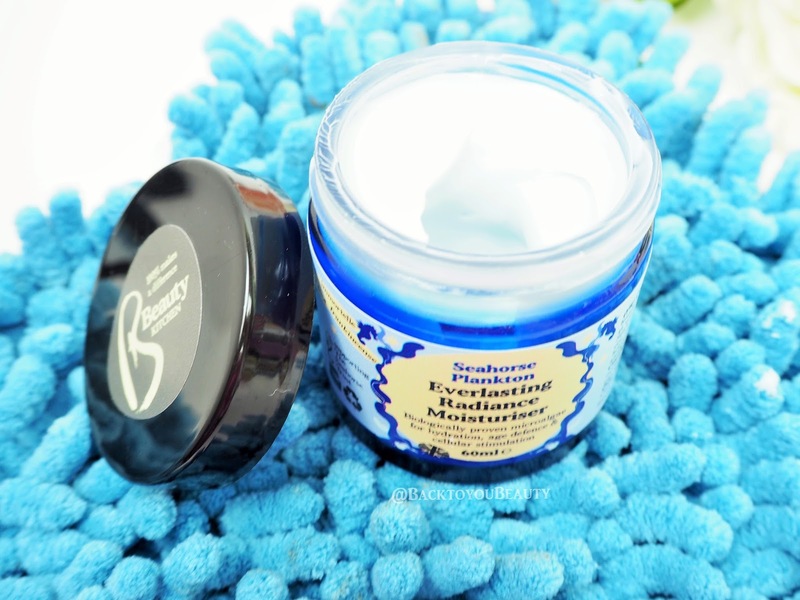 Hyaluronic Acid – This really packs a punch for skin that needs firming, hydrating and brightening. It looks so pretty with its natural, pale pink hues and smells so fresh and lovely thanks to the inclusion of Rose. I really have enjoyed using this as my moisturiser on really cold days and love how my skin looks and feels after using it. It is also a great base for make up when used in the daytime. In 2010 Jo-Anne Chidley opened the first Beauty Kitchen in Glasgow to create 100% effective, natural, everyday luxury beauty products. Beauty Kitchen has continued to source innovative Sustainable Beauty ingredients to create effective natural products and has taught over 5,000 people how to make their own along the way! A few months ago I was sent the Seahorse Plankton Moisturiser but it wasn’t until last month that I really gave it a good go. Firstly, no Seahorses were harmed in the making of this product 🙂 and secondly who wouldn’t want a moisturiser with pretty Seahorse packing? I had read so many amazing reviews of this product across social media so I knew I had to bite the bullet and give it a go. Everything about it really should make me love it. From the packaging, the gentle blue colour, the fact that it is 100% vegan, it contains 100% pure natural ingredient’s and is very affordable. Unfortunately, and I really am so sad about this, on my incredibly dry, dehydrated skin, it just felt as though it were sucking the life out of my skin. It is also quite highly scented, due to the natural oils, so if you have a sensitivity to that then this may not be the product for you. The ingredient’s are amazing, containing microalgae and plant extracts, immortelle, frankincense, sea kelp, blue chamomile and angelica root, on paper this is an ideal product for me. It aims to work within 24 hours to prolong the skins youthful appearance, smooth and soothe problematic skin, reduce fine lines and wrinkles and protect against environmental damage. Everything I need and want from a moisturiser. Every morning I applied a small amount to the face, neck and décolleté but after a week I had to stop as my skin felt incredibly tight. If you have oily/problematic skin I would suggest giving this product a try as I am so sad it didn’t suit my skin type. If you have used it successfully please let me know as it’s a product I really want to love, however, there are so many fantastic products on their website I am sure there will be something else that suits me. I hope I may have introduced you to some new products but if you have tried any of these please let me know your thoughts below. I would also love to hear from you if there is something you think I should try. "New! 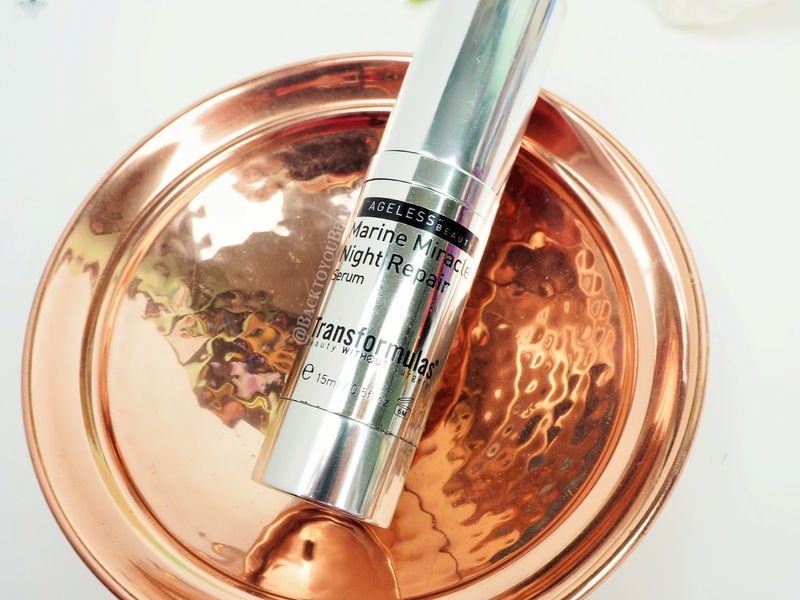 BareMinerals Perfect Gift collections featuring Must have Eyes and Quick as a Wink"
"Becca Qvc Tsv – 5 piece Complexion and Radiance Collection – Global Launch Featuring Champagne pop"
Like the look of the ingredients in the Dr.Renaud, my skin has always liked rose based products. Unfortunately my partner does not like the scent,so I can only wear them during the day. The addition of Shea butter at this time of year is a definite plus. Will look out for this brand.